How are you handling your data backup? Are you sticking everything onto a USB stick that you’ll eventually misplace? Or onto an external drive that may fail without warning? Maybe you’re backing up to the cloud, but paying a company every month for the privilege of using their server space. Time to move to completely free and reliable cloud storage with today’s discount promotion, Zoolz 100GB Free Lifetime! 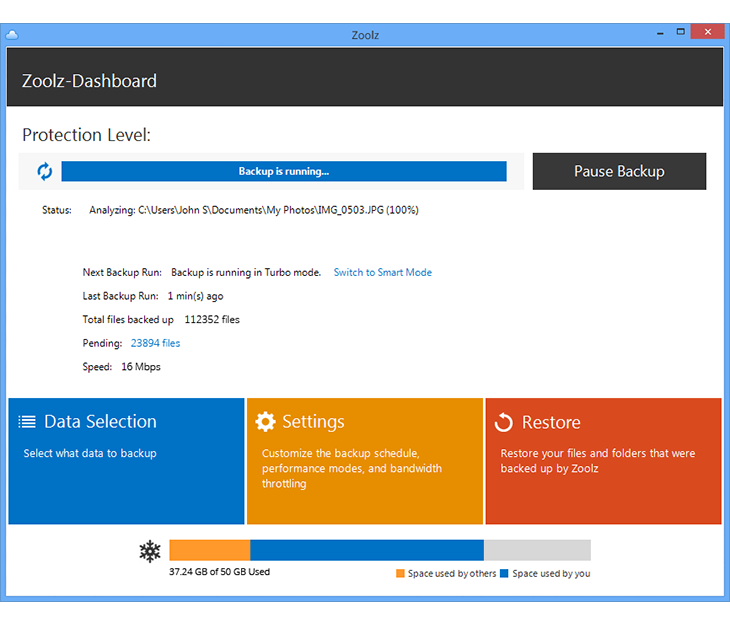 Zoolz 100GB Free Lifetime gives you 100GB of backup space on a cloud server at no cost, for life. With Zoolz 100GB Free Lifetime, you’ll be able to safeguard your most important files, photos, and documents, while enjoying no bandwidth limitations and super quick uploading. Best of all, your files are meant to be stored for life and can be retrieved within three to five hours after the request is made. Need confidentiality? No worries if you pick up Zoolz 100GB Free Lifetime! The service encrypts all of your files before they leave your machine, and stores them in the cloud using military-grade 256-bit AES encryption. How secure is your data? The service duplicates your files across multiple facilities worldwide! Also, please note that upgrading to higher plans from the 100GB giveaway plan is possible and will require additional payment. 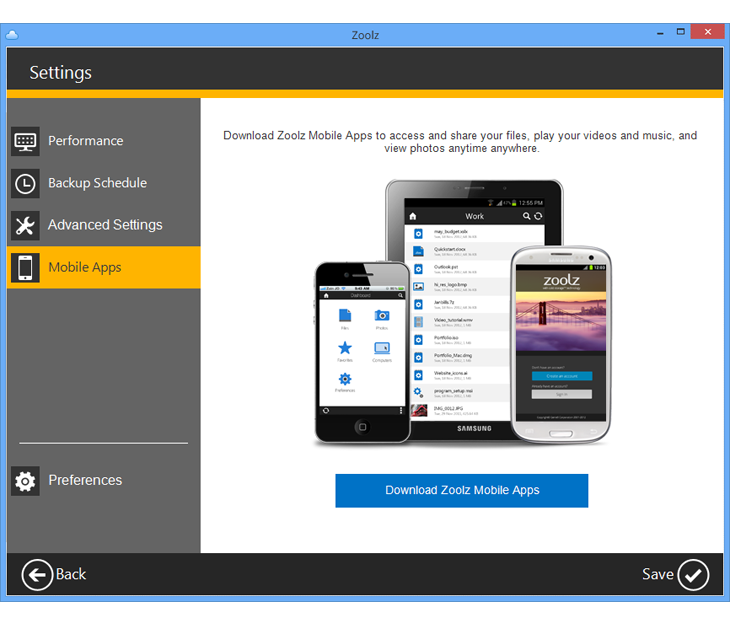 After you purchase Zoolz 100GB Free Lifetime it may be used indefinitely. 1. Can I use any backup/restore software for my computer or does Zoolz have their own software? 2. I noticed you are located in the UK. So what happens if US laws or UK laws change and the government (which ever one) wants to "inspect" my data? Do you just hand it over to them? 3. 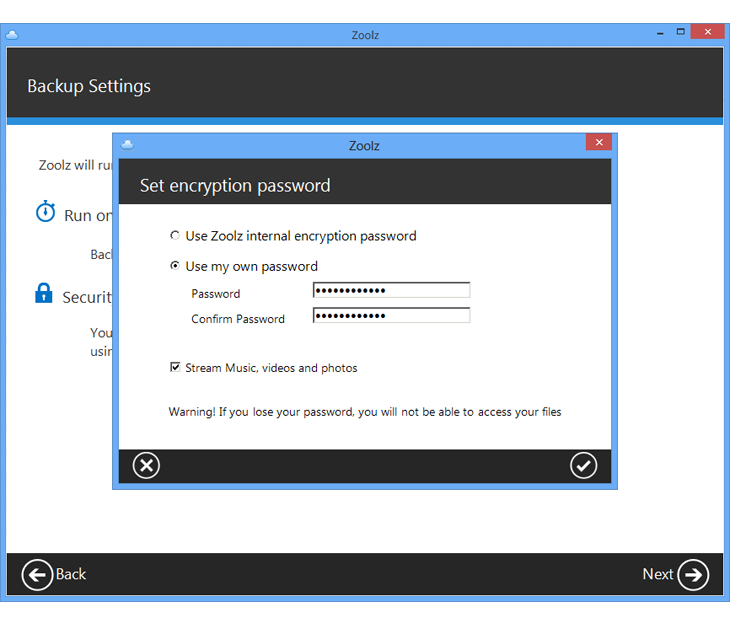 Is my data/backup encrypted to protect against Zoolz being hacked? Peter User You can only make backups but not upload files - very bad an unusable. 1) We have our own software which can be downloaded from your online account. 2) Kindly contact our Sales department via sales@zoolz.com. They will provide you with exact details about your query. Thomas from Zoolz @Peter User: Hello Peter, could you please clarify what do you mean by You can only make backups but not upload files? Lazar Voin The Backup is based on "Genie9" pretty good! The problem with the cloud, here with "Charter aka Spectrum! ), the DL is 100Mbits and UL is 12Mbits so it takes centuries to do a full backup and cost us $65 a month! Thomas from Zoolz @Lazar Voin: Hello Lazar. Thank you for your feedback. While Zoolz is a cloud backup software which needs an internet connection, our local backup softwares are still available. storage will handle active software applications on my computer? Peter User @Thomas: Hi! I mean that only folders can be select to backup. I see no way to upload a single file to the storage by myself. Zoolz @Peter User, kindly note that you can select single files, folders and whole drives to be backed up to the Cloud. 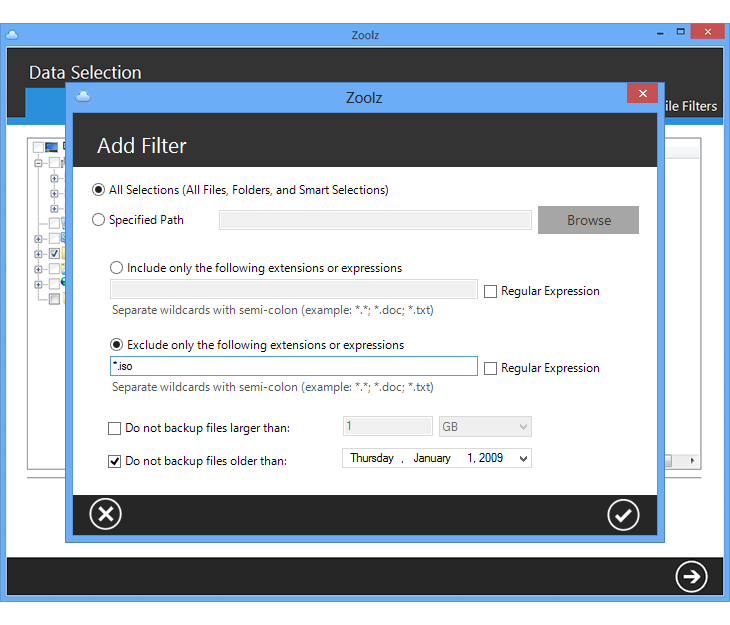 Simply open your Zoolz desktop software ? Refer to the "Data Selection" window ? Refer to the "My Computer" tab there ? 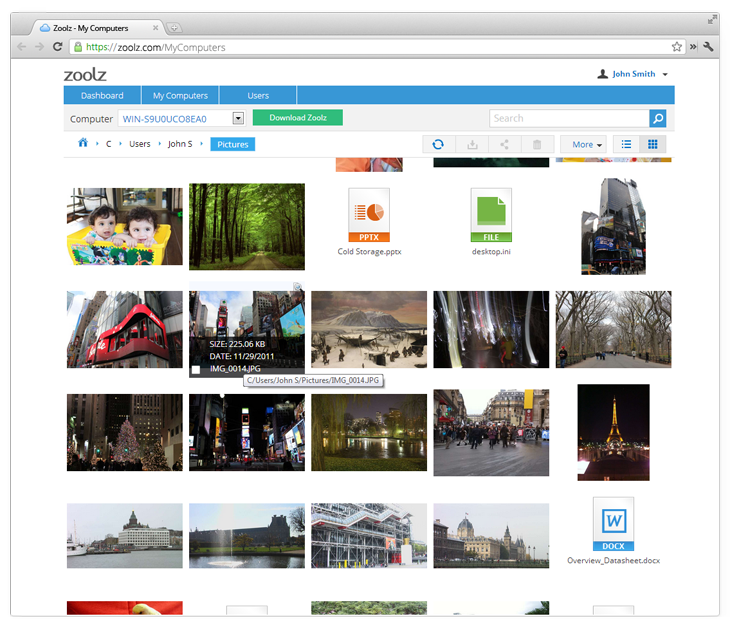 Select the file, folder or drive you are interested in uploading it to the Cloud ? Save. d adams I tried to get this on another site but found it was not available in my country. Does this work in South Korea now? Luis Ang Work great. 500GB for my document is more than enough. I suspect that it continually mirrors your drive, so if you delete a file then it deletes the same file. So only good if your drive dies or is lost. Probably can't use it to offload some lesser used files that you want to archive. Since most of us have more than 100GB of files on are drive, not being able to choose which folders to backup appears useless to me. - if i was not to sign in for 30 days then everything will get deleted. only paid customers do not need to sign in every 30 days. The free Zoolz accounts which are not used at all for 60 consecutive days will get suspended then deleted. This is the only way to keep the service available for the free users who are actually using the service. However, users are notified by email before any action is done on their accounts. No, this does not happen and it has never been reported by any Zoolz user so far. - you cannot specify what files YOU want to upload. Sure you can. 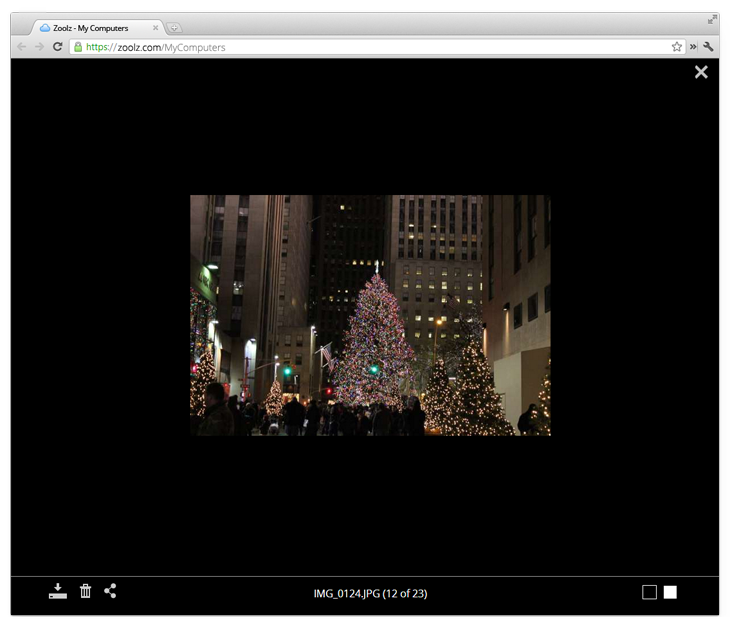 Zoolz has a friendly and easy-to-use interface. You can easily select the exact files, folders or drives which you are interested in backing them up. - you cannot use it like a USB pen drive and upload a text or one photo in a folder YOU specify. - I suspect that it continually mirrors your drive, so if you delete a file then it deletes the same file. So only good if your drive dies or is lost. Probably can't use it to offload some lesser used files that you want to archive. 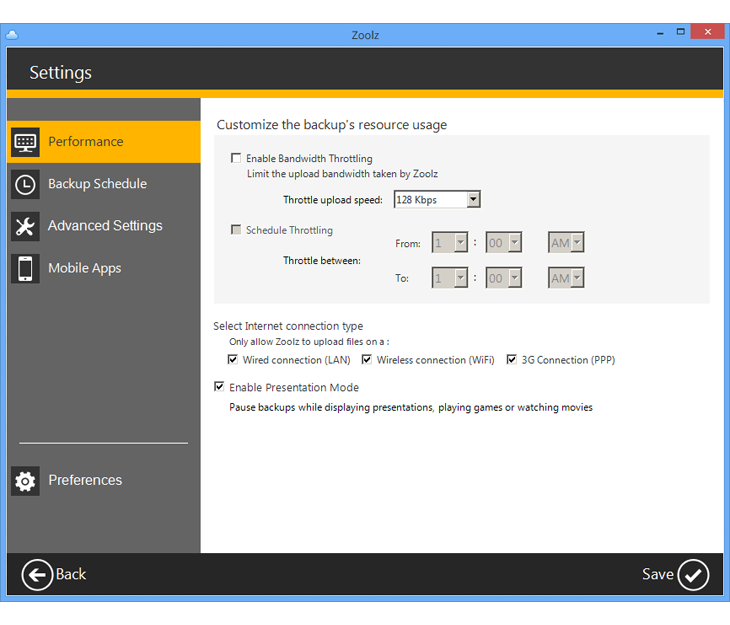 Kindly note that Zoolz is a backup solution, not a synchronization tool. This means that once a file is backed up by Zoolz to the Cloud, it will stay there, even if you delete the original file from your local drive. This is the main purpose of having a backup. If you have any further concerns, please feel free to contact the Technical Support (support@zoolz.com). They will gladly assist you. Zoolz @John Amrein, sorry, but your comment is not very clear. Could you please elaborate?